The final episodes of the successful series do not quite manage to do Merlin justice. When you watch a series for years you begin to develop ideas as to how you expect it to develop. Your familiarity with the characters and concept means you are able to make informed guesses as to what could happen and often you are not that far out. Of course it is better if shows do not conform to those expectations and do something completely unexpected though sometimes you feel this is not the best that the series could achieve. 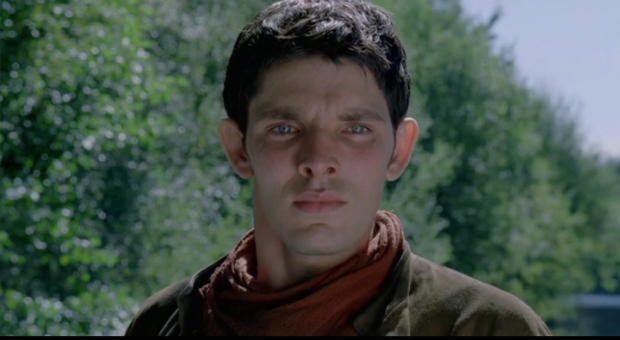 Merlin does just that as it comes to a close after five seasons. Beware- if you’ve not seen it there are spoilers past here. Avon has finally tracked down Blake who is hiding out on the lawless planet of Gauda Prime. Forced to abandon the Scorpio after a crash landing, the crew struggle to survive as theirs and Blake’s paths lead to an inevitable and dramatic confrontation. 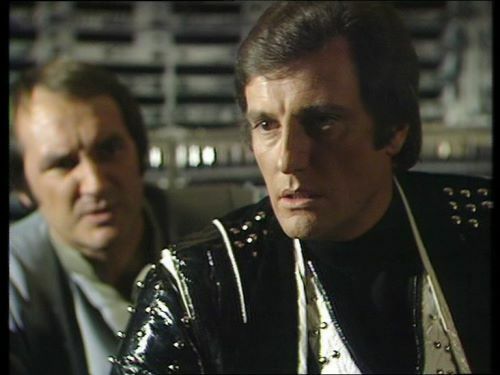 The very last episode of Blake`s 7 is shrouded in portent, whether it is the fact that we open with the Xenon base exploding or the subsequent crash landing of the Scorpio or the re-appearance of Blake himself. The pine forests of Gauda Prime are an atmospheric place to finish in and there is a sense of imminent danger wherever we are. Long hailed as a classic in telefantasy history, `Blake` works even better if you’ve been following the series from the beginning. "Look what two seasons of Blake's 7 did to me"
You can imagine the inside of Steven Moffat’s head is like the rush hour; ideas whizzing about in no particular order struggling for attention. Each time he writes one of these big episodes- a Xmas special, season opener or finale- it is a frantic race from start to finish which you probably need to watch at least twice to work out what is actually happening. 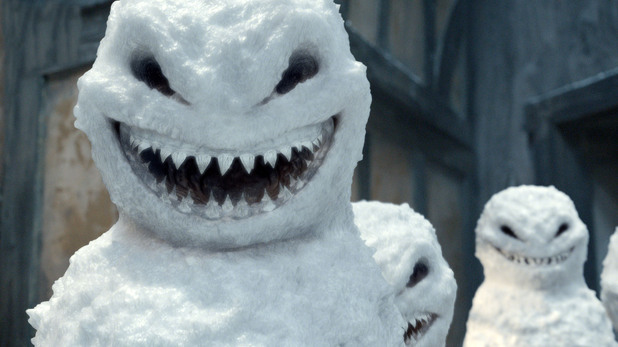 It’s not as if the plot is that complicated- indeed `The Snowmen` has one of the most straightforward plots he’s ever written for the series. It’s just that the frenzy unfolding on screen is so relentless that any subtlety is sometimes lost amidst the cacophony. This is not to say it’s bad, far from it. At times invigorating and always interesting, `The Snowmen` is definitely a step up from last year’s Xmas episode, it’s just that if it actually stopped to develop some of the ideas it chucks about the results might be even more rewarding. It is the scariest one yet though and includes some memorable villains, a strong new companion and a dusting of continuity. Avon has negotiated a truce between the rulers of the unaligned worlds in order to fight the federation’s suppression drugs but will the fragile alliance hold when personal issues between Tarrant and the daughter of one of the rulers become involved? 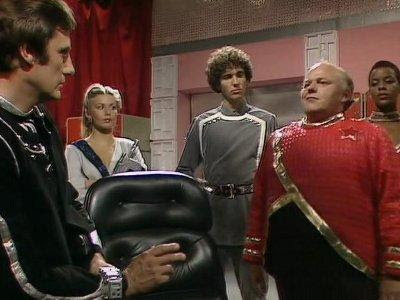 Simon Masters writes `Warlord` like it’s a feature film full of bold speeches and big gestures and even if the budget appears wafer thin at times, this does give the episode something of an epic feel. Avon appears to have come up with a less reckless idea than usual (though you wonder why none of the others never think of anything) and the opening scenes of him addressing the assembled rulers are accompanied by a bizarre video. We see people in what looks like (and probably is) a 1970s shopping precinct with numbers on their foreheads wandering around in a daze. Every so often Federation guards shoot them. It is most odd. People can buy anything! The range of goods the shops are selling proves that people will probably buy anything at this time of year. 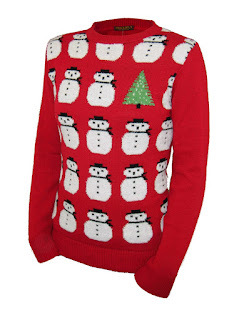 There are things that you never otherwise see and items whose function seems obscure or even unnecessary. 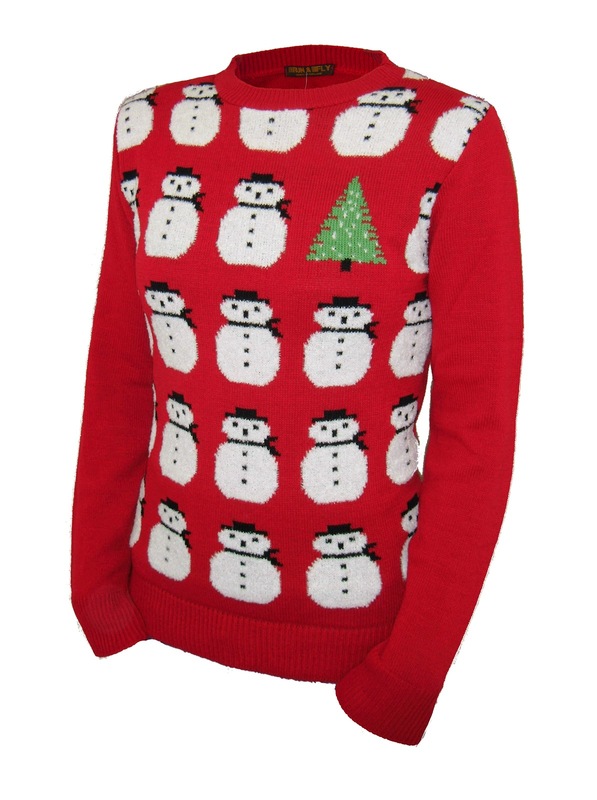 Best of all if there is something you have always wanted to buy but are too embarrassed then at this time of year your chance has come because you can just say it’s a present for someone! This CBBC series is a sort of hidden secret that a relatively small number watch but which rewards them with strong drama, great performances and striking direction. 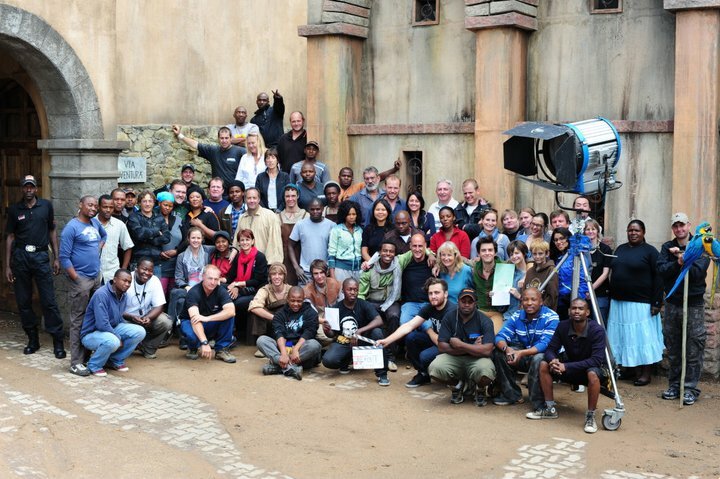 It is a children’s drama but sometimes shows inventiveness that makes it accessible to viewers of all ages. This second season concluded recently with three episodes that bring the ongoing plots together with some surprises. The Scorpio crew respond to a message from renegade scientist Egrorian, who disappeared a decade earlier but can they trust him when he asks for Orac in exchange for the super powerful Tachyon Funnel? 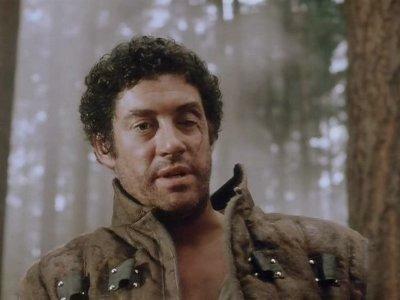 Robert Holmes usually manages to fuse characters and situations more successfully than many tv sc-fi writers who often favour one above the other. `Orbit` is another delicious slice of his dialogue led drama that will not be to everyone’s taste in 2012 but which, if you look at it as you would a play, works very well. Admittedly, the plot is another variation on several others this season but that should not detract from the enjoyable delivery, a memorable guest performance from John Savident plus a final ten minutes that take the show around a surprisingly sharp corner. 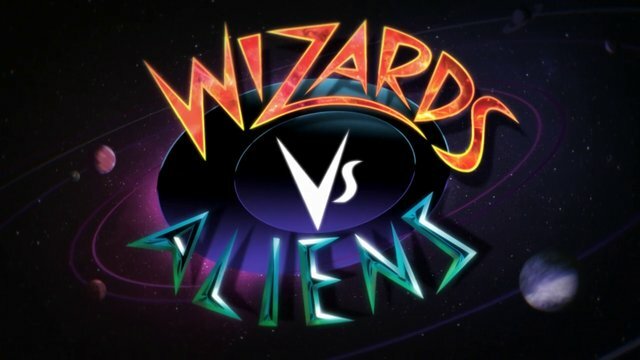 Following the promising first two episodes, the debut season of Wizards vs Aliens proved to be a very mixed bag. The second story is intended to allow us to better know both Tom and especially Benny. While their appearances conform to stereotype, it is refreshing to see that cool Tom soon becomes panicky Tom once danger is about and he has- once again- wasted his triple spell supply on trivial things. It takes a reviewer more generous than me to let the story’s menace through without at least mentioning the word `Muppet`. I know budgets are tight but there are times when we can almost see how these furry blue ankle biters are being controlled. It might be CBBC but there have been more menacing things in Tracey Beaker than these and if you want to see how to create something dangerous on a less than stellar budget have a look at Attack the Block. You’d think by now the others would be wary of Avon when he suggests a sure thing. Once again though, they follow him into a situation which is full of potential pitfalls and then act surprised when things go wrong. This is the signature plot for season 4 but as it yields generally good results you can see why they run with it again and again. Here, the scenario is spiced up by the clever casting of Roy Kinnear as the slippery Keiller, Avon’s supposed old friend which enlivens what would otherwise be an over familiar sort of plot. When the Scorpio crew and the Federation converge on the planet Vern, Servalan and Tarrant find themselves trapped together. But what is the planet’s mysterious secret? Tanith Lee’s previous B7 script `Sarcophagus`possessed a mystical angle that she utilises here and which subtle music and sound effects underscore. You sense the writer is striving for more than she ultimately delivers and the fact that we guess what is going on long before the characters robs the story of its more enigmatic side. Nonetheless it is a fulfilling episode that revels in more mature conversation and a dash of mystery. 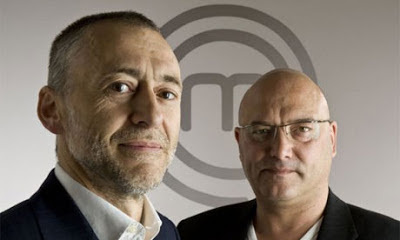 "Give me your wig or else..."
Masterchef is the best reality show on tv! There are lots of cookery programmes in which there is a mood of bonhomie, of food being a pleasure. There is only one with the dramatic flair that can rival drama. Masterchef has three incarnations; one for the public to compete in, one for celebrities and the currently running version for professionals. What all three share is an atmosphere of highly charged, brightly lit and barely controlled panic amongst the contestants. In Masterchef:The Professionals, about to hit its semi final stage this week the atmosphere is heightened to a properly sharpened kitchen knife edge. Due to ongoing technical issues with my laptop, there may be problems posting as regularly as usual and sometimes what the posts look like. If it gets too difficult the posts will move to the Live From Mars website. Due to the general palaver, some posts may end up appearing on both. Hopefully normal service will be resumed sometime in January.